The existing Chestnut Hill residence was like a diamond-in-the-rough; a large, beautiful house with floor plans that were congested and lacked clarify. Spaces were isolated from each other, with the grand front rooms completely separated from the rear mudroom and kitchen areas. The design solution strategically opens up unexpected connections to create clarified circulation throughout. 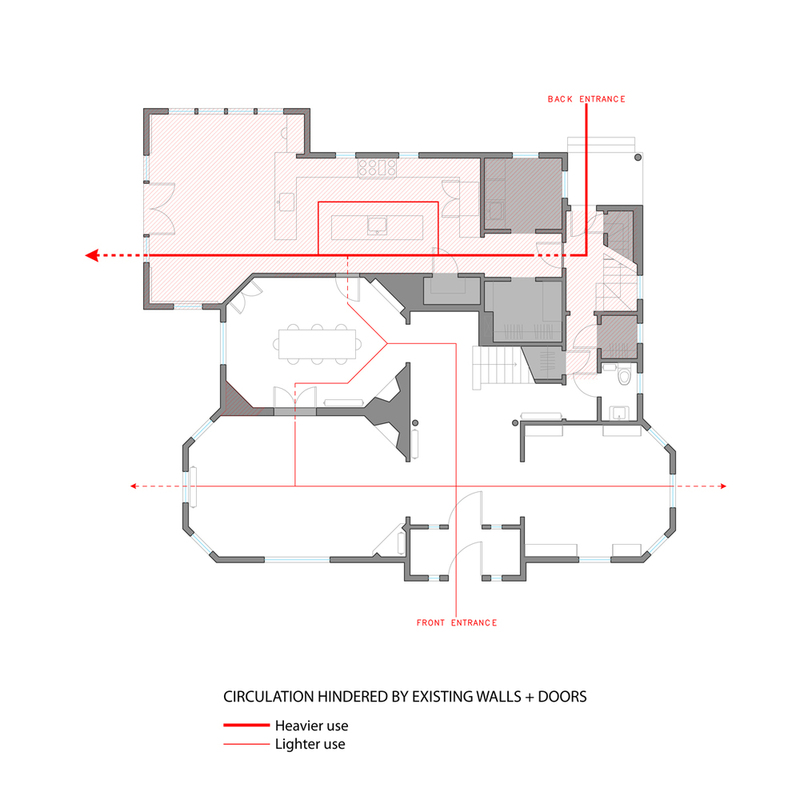 The overall floor plan is unified by the surgical incision of new passages that create multi-directional axis for light and movement to traverse freely throughout the house. Each passage is clad in a different material - blackened steel, smokey mirror, frosted glass, bright wallpaper, faux-turf.